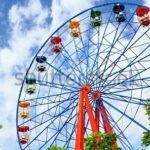 A Ferris Wheel is considered by many to be one of the top attraction at most carnivals and amusement parks. Although it is not the fastest ride, nor the most exhilarating, there is something very special about this ride that attracts people every year. 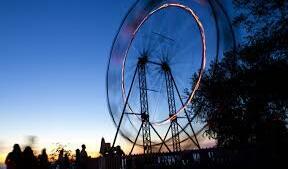 For most, it is the extreme height that the ride can achieve due to its diameter, some of which reach over 400 feet. 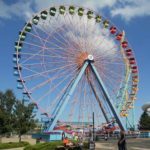 In fact, every passing year leads to yet another Ferris Wheel in a country somewhere in the world that is built in order to break the latest record. There are many applications to consider as to why the Ferris Wheel is still a valid ride in most countries. Let’s look at the benefits of this ride, and also the drawbacks, to show you exactly why they are here to stay. 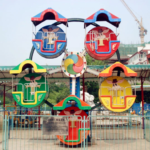 This ride has many benefits, most of which are all about attracting customers. 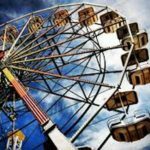 For example, when a person arrives at a state fair, or one that is passing through their town, one of the first things they look for are the tallest rides. The Ferris Wheel tends to be one of the tallest, and although it is very slow and monotonous, it is that moment when you reach the top, especially when it stops, that you achieve something that no other ride can give you. Whether you are sitting in a cart, or you are within an enclosed air-conditioned capsule, it is the view that you are able to achieve that means so much. This can be experienced with friends, family members, or that special someone in your life. It’s all about the feeling that it gives you, and not so much the rush. 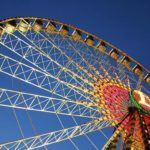 There are only two reasons why a Ferris Wheel may not be a ride that people would like to try. First and foremost, due to the incredible height that many of them allow you to experience, people that are afraid of heights will definitely not be standing in line. Second, these rides can take quite a while to get on, and the ride itself only last a few minutes. If it were to go faster, scare you like a roller coaster, or do something that is exciting, it might be worth the wait to all people. Essentially, people that like to ride roller coasters, or any ride that goes extremely fast, are not going to be waiting in line so that they can set just to get a beautiful view. 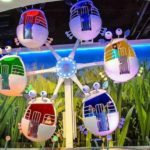 Other than that, they represent one of the staples of all amusement parks, and will likely be included for decades to come. 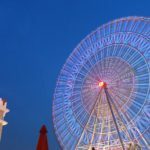 Many improvements have been made in recent years on the Ferris Wheel that have attracted people for the first time. First of all, they are reaching heights that were never possible before, some of which are 400 or 500 feet. Second, instead of sitting in a cart, you can be in a capsule, allowing you to stand up and look around. You are fully enclosed, so there is nothing to worry about in regard to tipping the cart which could lead to a serious health hazard, not to mention the fright of your life. The new ones with the capsules simply make it more safe for people that would otherwise be too afraid to go on. Plus, it allows more people to experience the incredible views that are only possible from this ride called the Ferris Wheel.